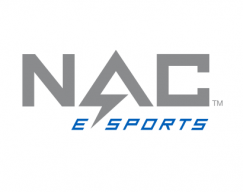 BOSTON, MA, November 28, 2018 – Bay State College recently announced it will become the first institution in Massachusetts to join the growing esports space and National Association of Collegiate Esports (NACE) with the intent to compete next fall. In partnership with NACE, Bay State College has begun a national search for a full-time coach to start competing in the Fall 2019 semester. As a part of its recruiting effort, Bay State College will offer athletic scholarships—making esports the college’s first varsity sport competing in some of the most popular esports games around the world, such as League of Legends and Overwatch. “We are committed to making a large investment in the launch of this varsity team, while increasing esports exposure to our region,” added McCarthy.